Over 17 years ago, Josh Pertnoy began his career at Shapiro Pertnoy Companies in inarguably one of the most unglamorous roles. Josh began by sweeping floors and working as a laborer during summer breaks. 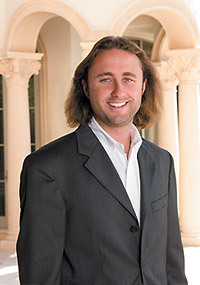 After returning from boarding school at the Dublin School in New Hampshire and attending college, Josh joined Shapiro Pertnoy Companies full-time 17 years ago. His approach to learning the multi-dimensional world of high-end residential and commercial construction and development was both admirable and utilitarian. In order to learn core trades such as drywall, framing, roofing, and carpentry, Josh worked under a variety of superintendents and along with a host of different subcontractors, learning the fundamentals of each discipline. He also credits his expedited learning curve to a valued company employee who took him under his wing and “taught him the ropes.” The lessons were well learned, and bore fruit, as Josh today heads the construction division of the Shapiro Pertnoy Companies. 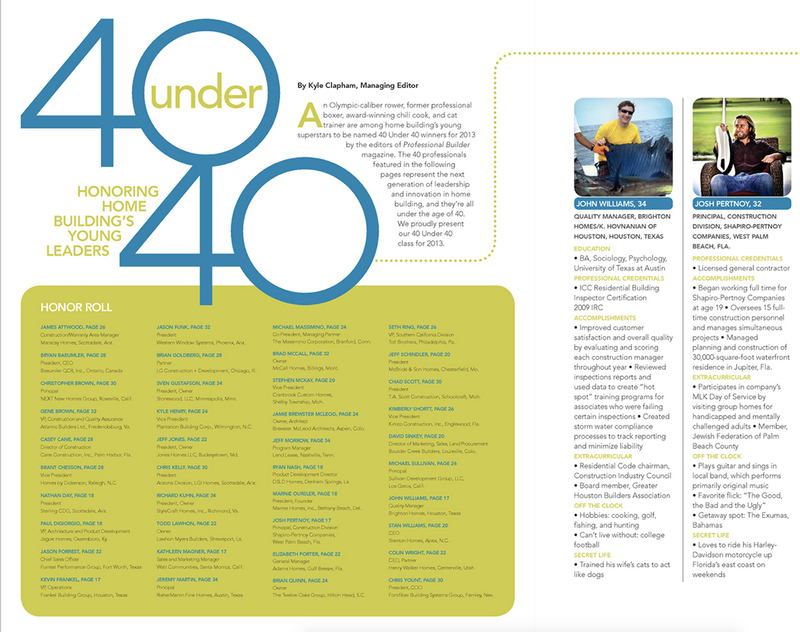 Josh is one of Professional Builder Magazine’s 40 Under 40.